In this swimming workout you will learn how to use the breaststroke and strengthen your muscles without causing pain to your lower back. When swimming breaststroke,in one hand , the stroke works on 240 muscles in our body, (more than all other strokes) but on the other hand ,when we are 20 years old+ you can cause pain to your lower back and neck. 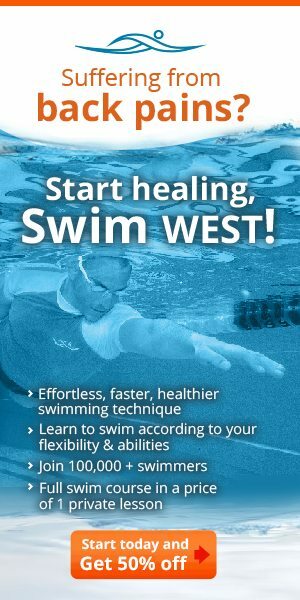 In this master swimming workout we will learn to swim breaststroke with freestyle and by that we can strengthen our muscles and loosen them at the same time with elongating our WEST swimming technique muscles. But before swimming breaststroke it is always recommended to improve and work some more on your freestyle swimming technique.